The Honda CB300R is available in two colours - Candy Chromosphere and Matte Axis Grey. Deliveries will commence from the third week of March. A part of the company's 'Neo Sports Cafe' family, the Hond CB300R is said to be inspired by the CB1000R. In the words of the manufacturer, the design language of the new model revolves around the theme of 'modern and minimalist'. The front-end of the new motorcycle features a round headlamp with LED fixtures and sleek LED indicators. In the side profile, one will be quick to notice the well-sculpted fuel tank, an exposed frame, and a chunky muffler. The highlights of the CB300R's features list include stylish multi-spoke alloy wheels, tapered rubber-mounted handlebar, full LCD instrument panel, and a split seat setup. Powering the Honda CB300R is a 286cc, liquid-cooled, DOHC, single cylinder fuel-injected engine that outputs a maximum power of 30.03 bhp of power at 8,000 rpm and a peak torque of 27.4 Nm at 7,500 rpm. The motor comes mated to a 6-speed transmission. The suspension is courtesy of 41 mm upside-down forks up front and a pro-link mono-shock at the rear with 7-step preload adjustability. 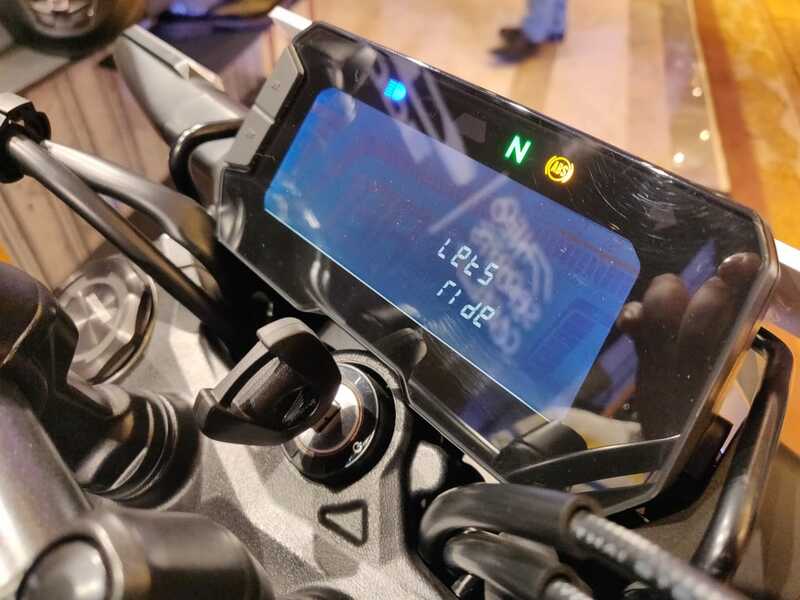 A highlight of the Honda CB300R is its IMU (Inertial Measurement Unit) based dual-channel ABS unit, which results in optimum modulation of brake force between the front and the rear wheel. The new motorcycle features a 296 mm petal disc at the front wheel and a 220 mm rotor at the rear. The Honda CB300R features a full-digital instrument panel that shows speed, engine rpm, fuel level and gear position. The all-new Neo Sports Cafe inspired CB300R is a breakthrough modern take on the classic roadster design. 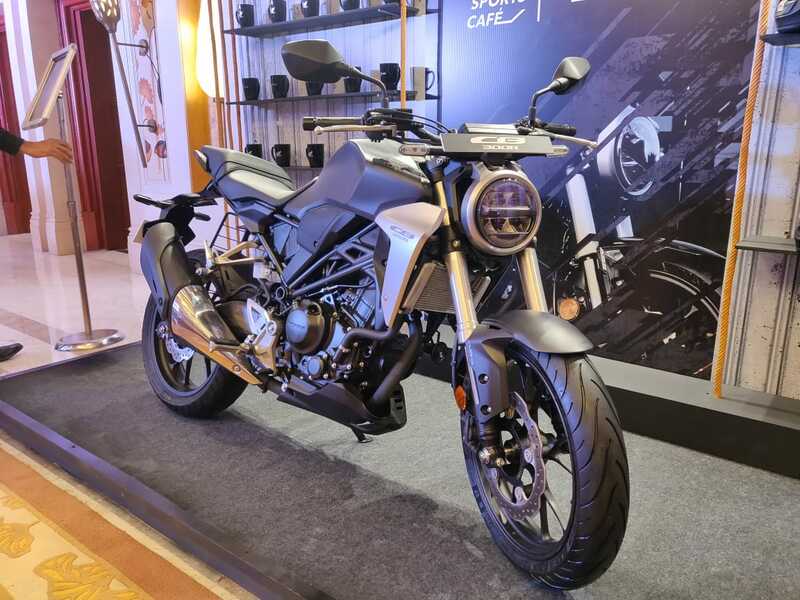 With strategic pricing of Rs 2.41 lakh (ex-showr00m, pan-India), Honda Has put the spotlight on the growing middleweight category and motor enthusiasts across India have responded. In just 25 days since the start of bookings, CB300R is already booked for over 3 months based on our current production plan! Introduction of CB300R will debut the new premium Silver Wing-mark in India.